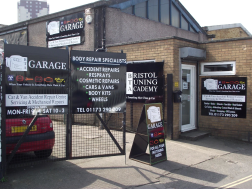 BTA Garage in Bristol offers wide range of servicing. We recommend you do your service every 10000 miles or once a year. Don't forget to bring your service history book - we'll stamp it for you for free. If you don't have a service history book - it's time to have one - ask us for a replacement one. We offer a 3 ramp workshop catering for all makes/models & repairs & we will offer a free local collection/delivery service if required.